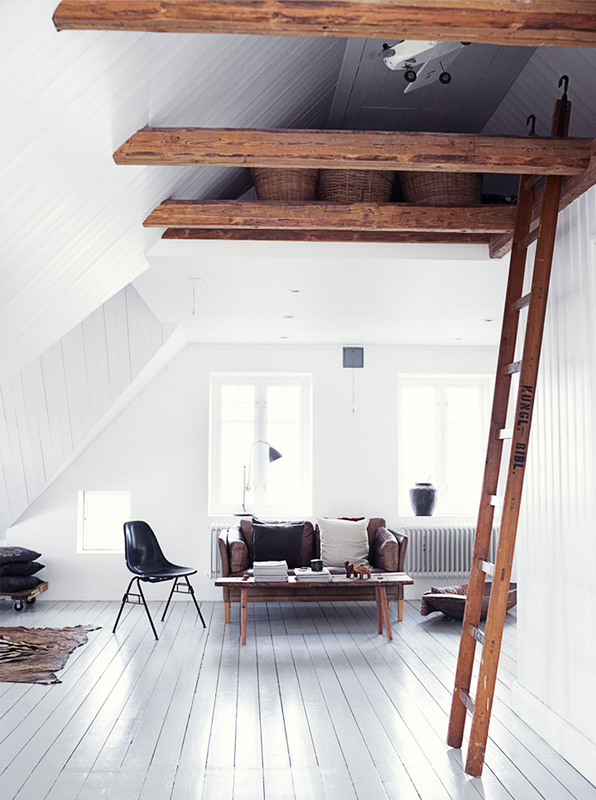 White with old wood is a combination that makes my heart beat faster. I just love it, or should I say I adore it! 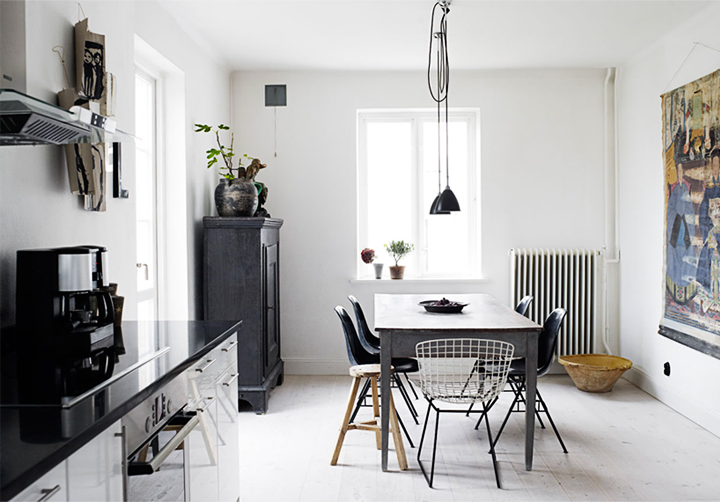 I don’t think I can use one word to express enough my excitement about this beautiful Swedish house. It is a house from 1923 where a shop owner and antiques dealer shared it with her family. 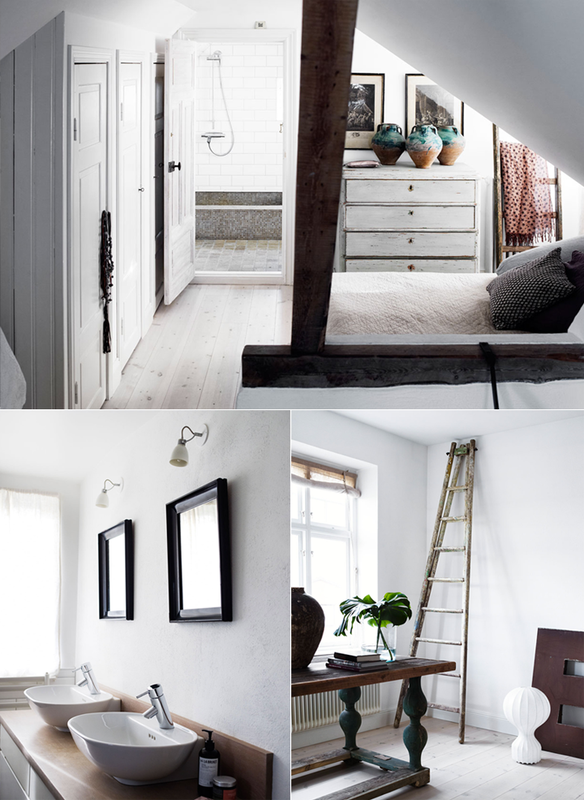 I love the decoration there – from ladders, old wooden stools and letters to antique accessories. Even the ceiling is like a piece of art for me and the workspace is going directly in my Pinterest folder for inspiring home offices and probably will serve me as an inspiration for my own home. 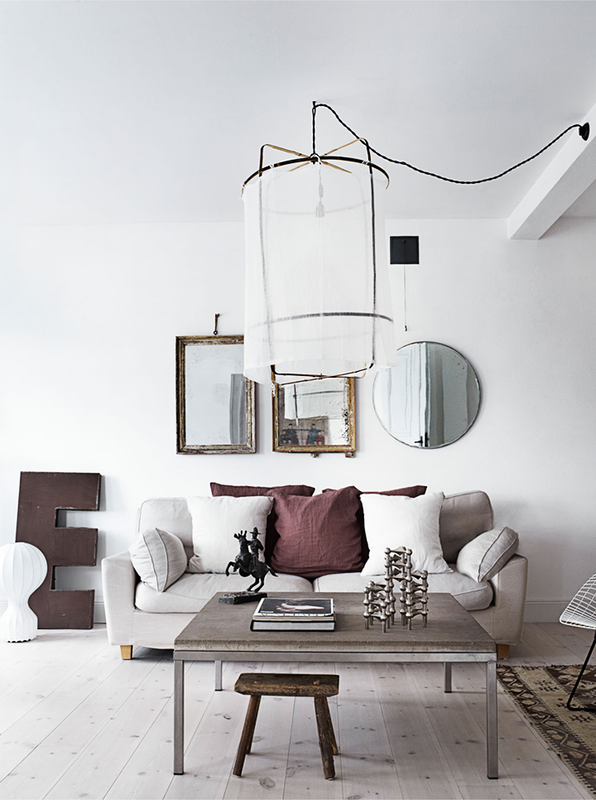 Probably except the zebra leather rug for me and the fact that I will not be able to have this beautiful white floor. I have discovered today this amazing blog. I love it !! The zebra skin rug is very offensive.